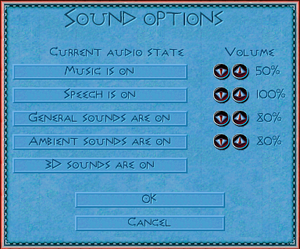 Several versions available by Sierra and Vivendi Universal. SecuROM DRM disc check. 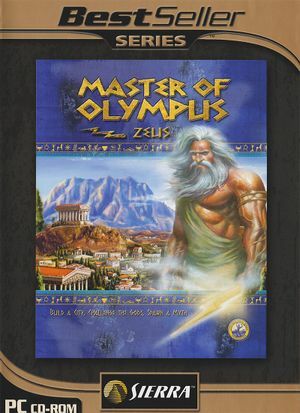 The Zeus Enhancement Pack 1.1 is the latest patch. 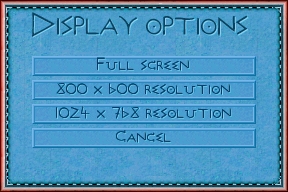 Use the Zeus + Poseidon Widescreen fixes pack. Pressing F5 will switch to windowed, if the desktop resolution is higher than the game resolution. 20 FPS cap. Mouse is not clamped to engine framerate. Camera panning speed can be changed. ↑ 2.0 2.1 File/folder structure within this directory reflects the path(s) listed for Windows and/or Steam game data (use Wine regedit to access Windows registry paths). Games with Steam Cloud support may store data in ~/.steam/steam/userdata/<user-id>/566050/ in addition to or instead of this directory. The app ID (566050) may differ in some cases. Treat backslashes as forward slashes. See the glossary page for details.